It's Christmas and you can be N100,000 richer! 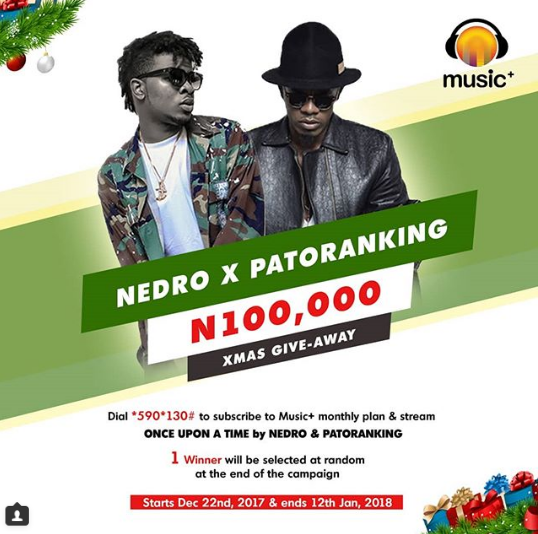 Simply subscribe to the One month music plan and stream #OnceUponATime by @iamnedro ft @patorankingfire. Promo ends 12th Jan, 2018!